Cutting up a winter squash can seem so difficult and overwhelming that sometimes it seems more worth it just to buy it canned or frozen. But a fresh butternut squash is so delicious, can easily be grown in your garden, and is typically much more cost-effective. 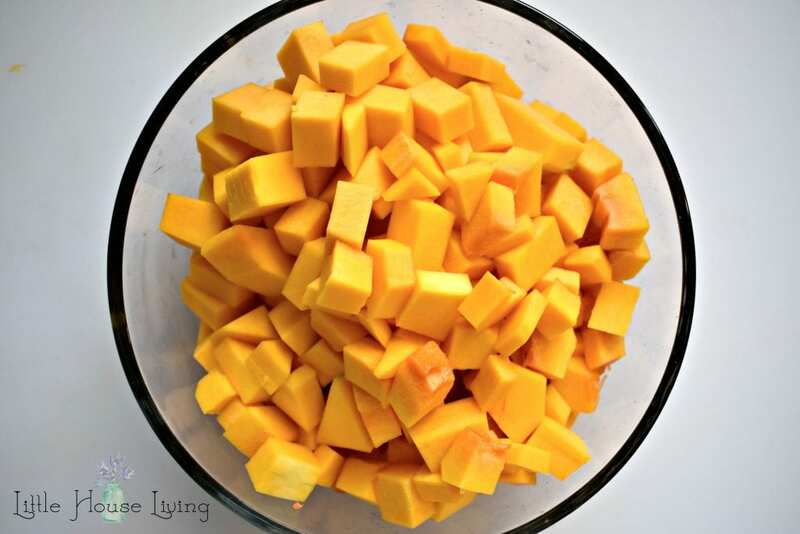 Today, I’m going to share with you how to cut butternut squash, and this method only takes about 5 -10 minutes! We love winter squash in our home. 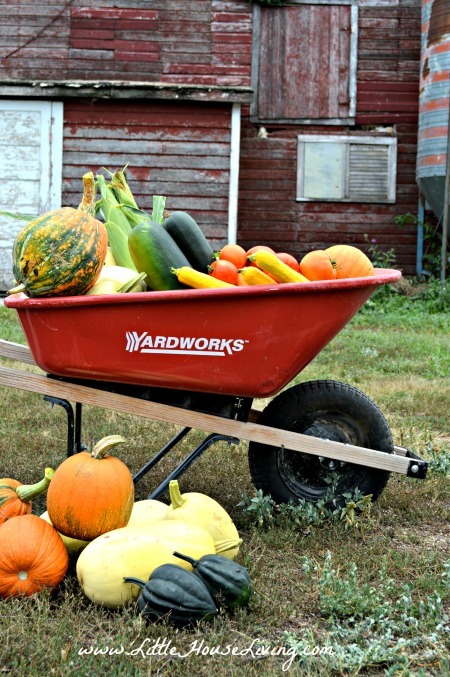 Butternut, spaghetti, acorn, carnival…you name it, we will eat it! Acorn is my personal favorite but butternut runs at a close second just because it’s so versatile. 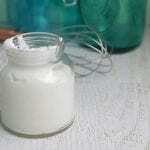 I use it to make a flatbread, add it into spaghetti sauce, dice it into soups, make noodles out of it, and so much more. I’ve been posting my meal prep pics on my Instagram page for a little while now and I’ve had so many questions about how to cut butternut squash. I’ve been growing winter squash in my garden for several years now. 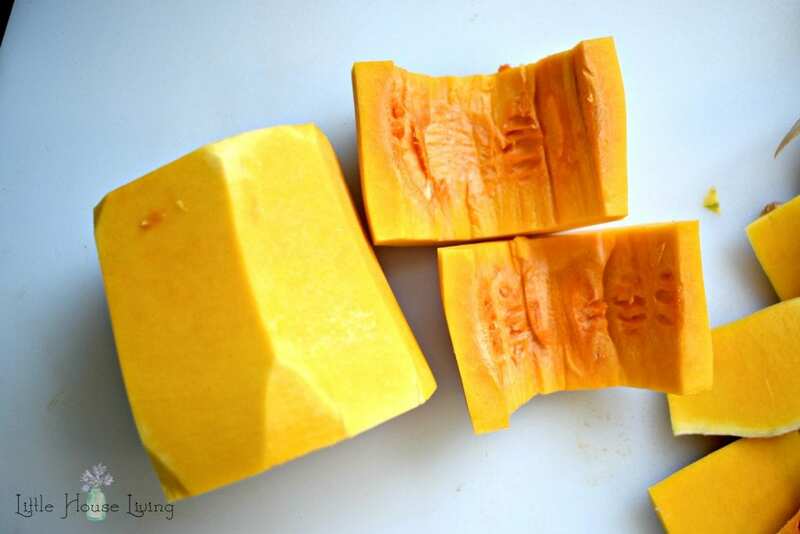 When you have dozens upon dozens of winter squash in your root cellar, you learn pretty quickly what the easiest way to cut them up and use them is! Start by washing your squash. No, it doesn’t matter if you grew it, if you bought it at the store, or if someone else gave it to you, it still needs to be washed. Even though we are going to peel it, we don’t want the dirt to get in our nice clean pieces of squash. 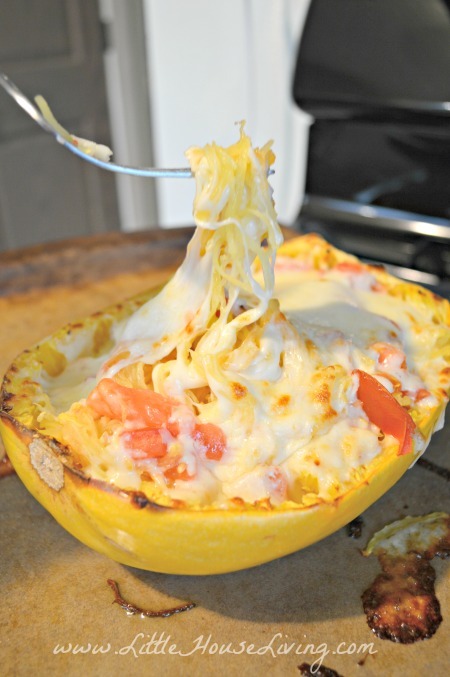 Cut your squash. 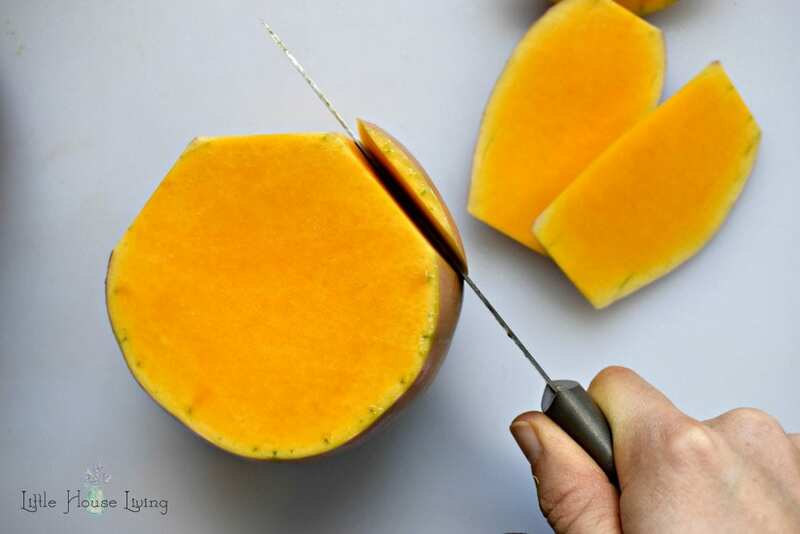 You will want to cut the neck or the slimmer part of the squash off of the bottom or the rounded part of the squash. Set the bottom aside for now, we will get to it later. Be sure to use a sharp knife to cut the squash. A dull, too small knife will only make your life difficult. I use a Rada Stubby Butcher Knife. 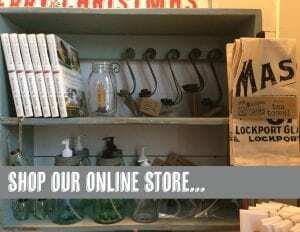 You can find them in our Little House Living store. Next, cut the top (the part with the stem) off the neck. Don’t cut off more than you have to but do try and make the neck one cylindrical piece. If the top is still slightly rounded you will have to do extra peeling. 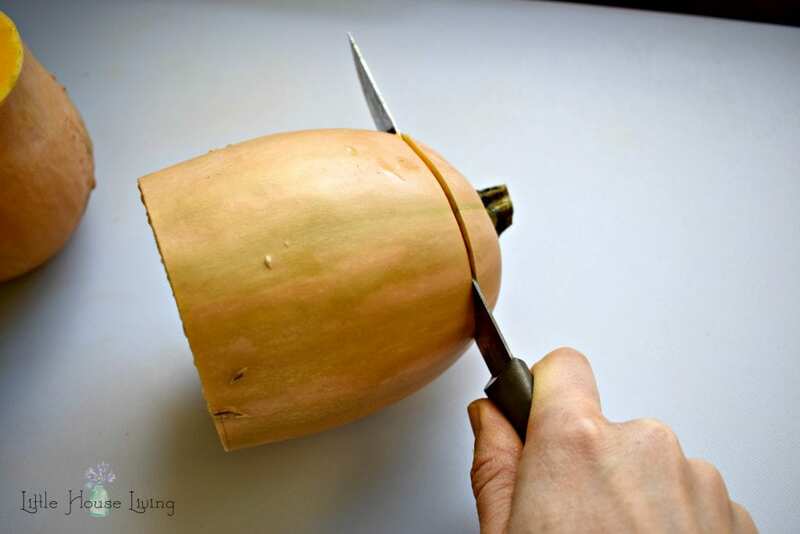 Set the neck upright and begin “peeling” the outer shell off of the squash with your knife. 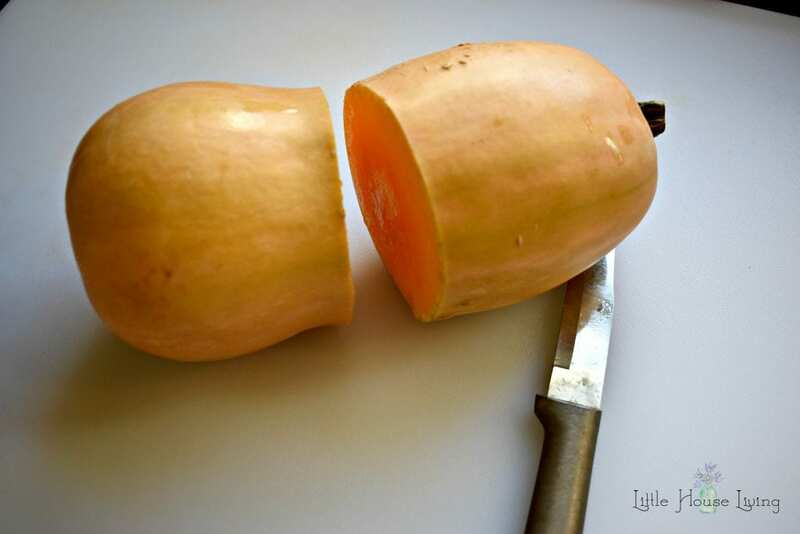 If the neck of your squash is too long to do this safely, cut it in half and peel both halves separately. Continue the peeling all the way around the squash until all of the outer parts of the squash are gone. You don’t want to peel too deeply, however you do want to remove the green lines on the sides of the squash. Now let’s do the bottom half. Most tutorials skip this part and tell you to “use the bottom later” or to toss it. 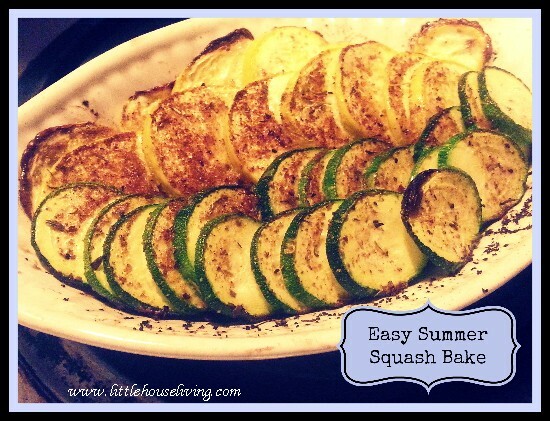 There is still plenty of good squash down there and it’s not that hard to get it all! So you want to start with the bottom in a similar way to the top. 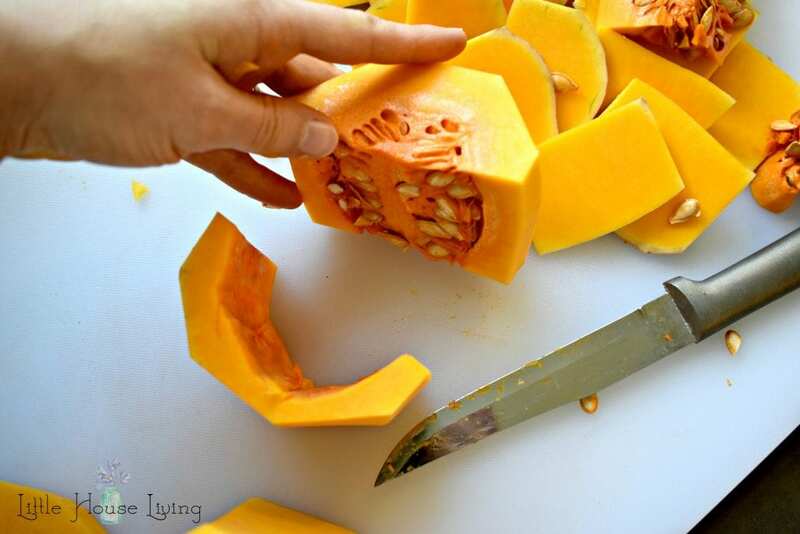 Use your knife to cut the bottom off the squash. Set the bottom upright on your cutting board and peel the outer shell off with your knife. Just like you did with the top. Now to deal with the seeds. 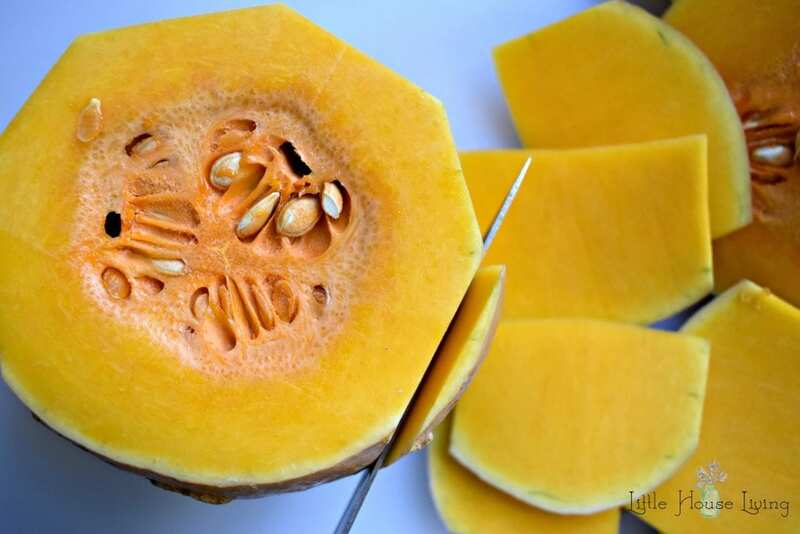 Cut the bottom in half and use your knife or a spoon to cut out the seeds. Easy! 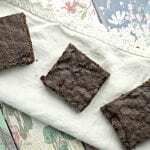 And those seeds don’t even need to head to the trash, here are 11 Uses for Squash Seeds that you can try. One of the ways we like to use butternut squash is to make squash noodles. I have this inexpensive Peeler that I use to make all kinds of veggie noodles. Just cook the noodles in a bit of chicken broth for a few minutes and they are so yummy. You may also want to dice up your butternut squash. I do this just like I cut up potatoes, in slices and then into dices. We roast these by putting a bit of olive oil and salt over the diced squash on a baking sheet and bake at 425 degrees until tender. I also add diced squash into all kinds of soup. 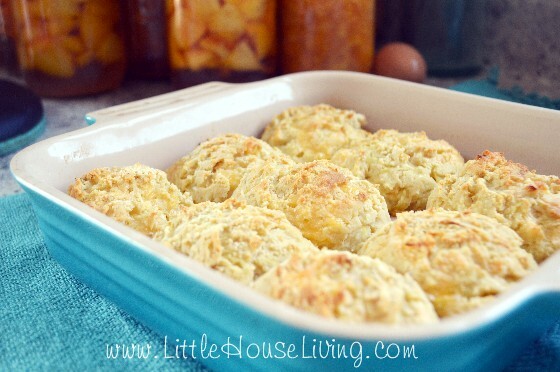 It makes a wonderful substitution for carrots, sweet potatoes, or just a great addition to the soup. If you want to puree your butternut squash, you would dice it and then place it in boiling water on the stovetop until tender. Let it cool and then place in a food processor or blender and blend until smooth. You can use it or freeze it at this point. 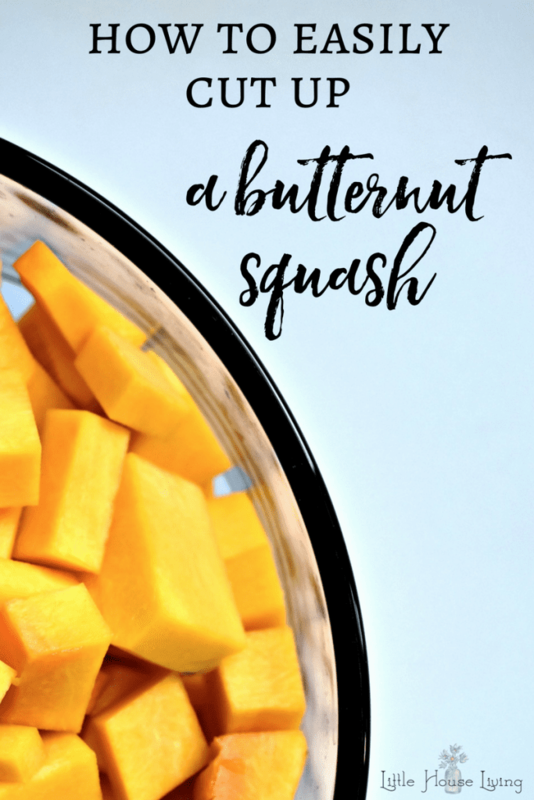 If you aren’t into butternut squash yet, I hope this post has gotten you excited! This healthy and cost-effective veggie is a staple in our home and I hope it will be in your home too if it isn’t already. If you are looking for the knife I highly recommend for cutting winter squash, you can find the Rada Stubby Butcher Knife here. 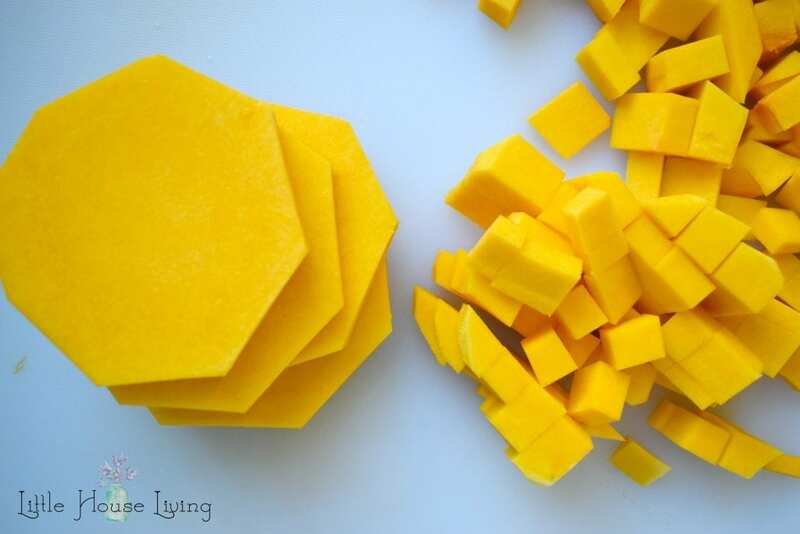 Now you know how to cut butternut squash! Is this how you’ve cut it up before? Will you try this method? Your post is perfectly timed for me! We’re having guests this weekend, and when given some choices for dinner, one declared her love of butternut squash. I was planning to roast it in the oven, and now I know how to peel it without risking injury. Your photos are very helpful. Thanks! I’m so glad this has been helpful. Enjoy your squash! 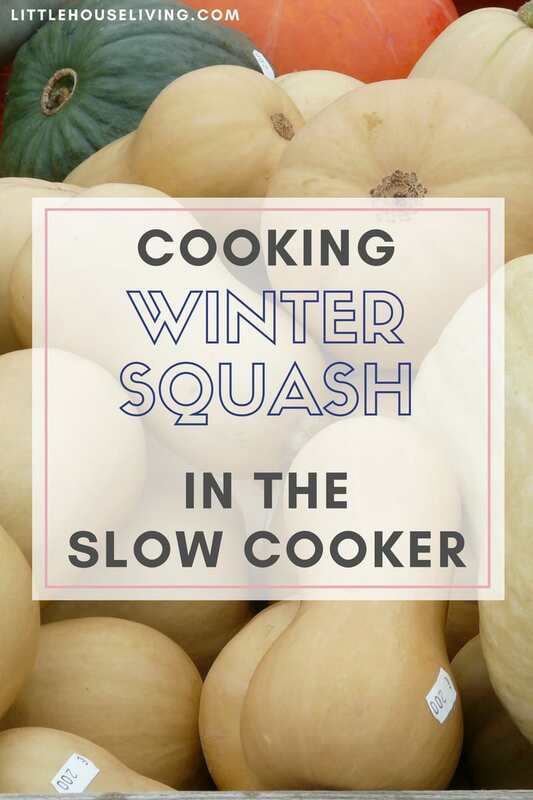 I do butternut squash and sweet potatoes in the slow cooker. Put the squash or potatoes in and cook on low 6-8 hours until tender. I have a random question but still related to cutting up squash. How do you keep your hands clean?? I hate that sticky film that always happens on my hands when I cut up squash. It stays on my fingers for forever and is so uncomfortable! Not sure if that makes sense? How do you prevent that, or how do you get your hands clean if it’s inevitable? I always get that too. I just wash my hands right away after cutting the squash and then a few more times after with a good dish soap. It doesn’t go away completely but gets rid of most of it. We eat so much zucchini/squash/winter squash that I think I’ve started to just ignore it for the most part! 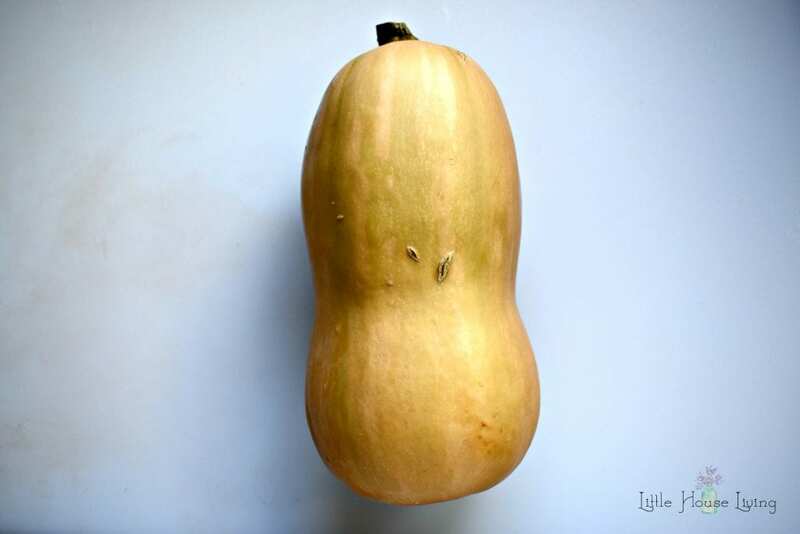 i cannot mess with a butternut squash until it is fully cooked. i didnt find out until i broke out in painful blisters, and my skin turned painfully red, that many people are allergic to the raw peel between the outside and inside. 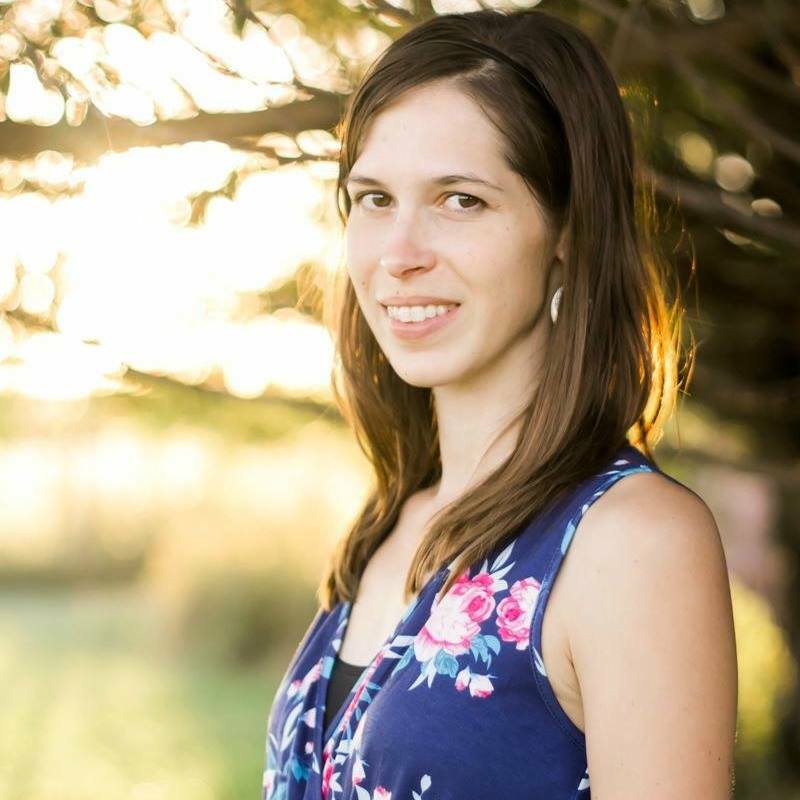 there is a layer, that is like acid when it is in its rawest form. i was almost 50 when this happened, and have not been able to peel or chop raw butternut squash ever since. now i have to cook it, and the chemical compounds in the flash and peel change, then it can be gutted and taken care of, and only then. This is how I learned to cut up squash and melons when I worked in a kitchen! The chef taught me that the first rule of cutting things up safely is to create a flat edge on the food. 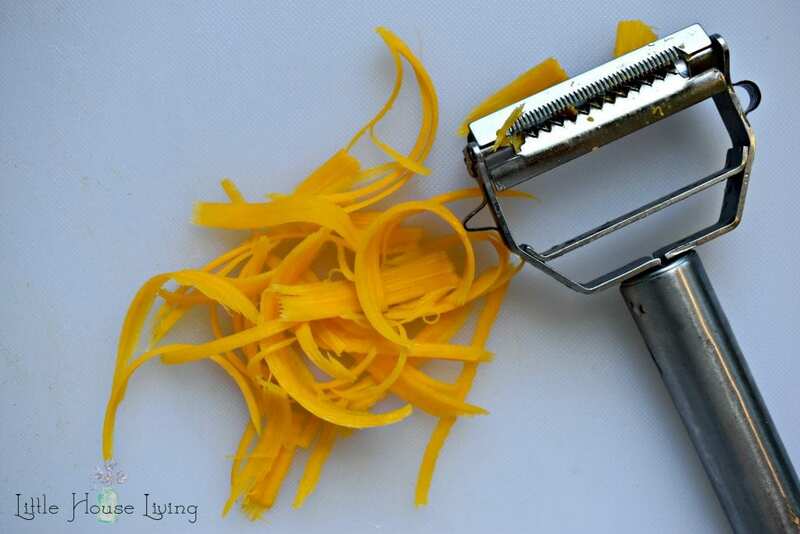 Where to buy “this inexpensive Peeler that I use to make all kinds of veggie noodles”, please? Thx! 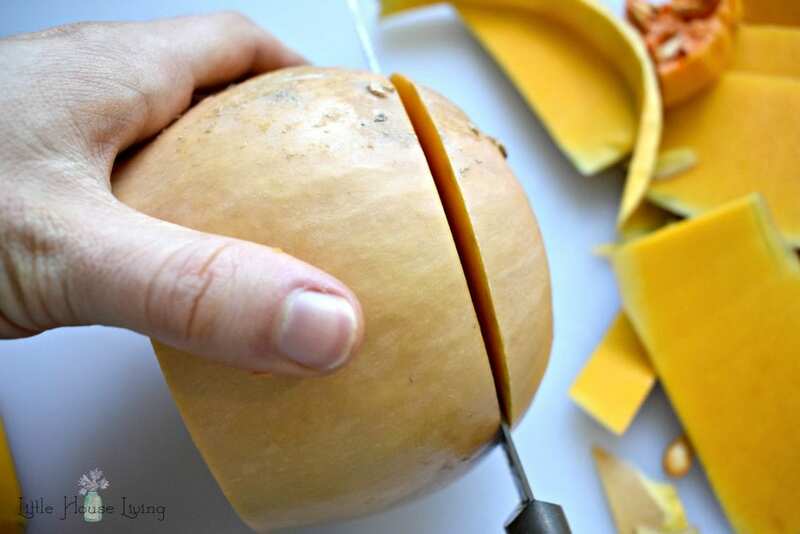 I’ve never seen such an easy way to peel butternut squash. Thank you so much for showing this. What is your flatbread recipe with squash? That sounds very interesting! What kind of peeler do you use to make noodles? What kinds of things do you use your puréed squash in? Thanks in advance.